The famous saying of “a picture is worth a thousand words” is true and now with animation and moving picture this saying has an actual meaning. I believe a moving picture has a significant impact than ordinary static ones. People get more meaningful way to understand and animated picture can hold more content than usual static images. The basic image formats on the web, as we know, are JPG, PNG, and GIF, among these GIF, is the only form that allow animation. GIF files can display several image frames over a few milliseconds successively this way a GIF image gets animated effect. GIF makers are the programs that make it possible to combine images in a similar way. This is a three-step procedure. The first step is to choose the number of pictures, second is to keep those images in a sequence as desired, the last step is settings of the loop, frame rate, and other tidbits. These three steps are the way to make a GIF file that animates. 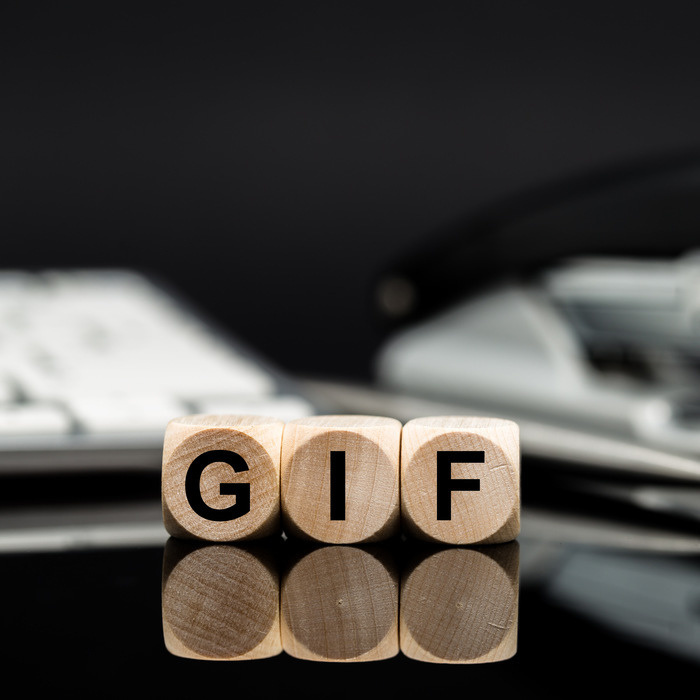 Below you will find some of the best free GIF makers with new Tools and sites that make it possible to create a perfect GIF with tons of options. [PicGif] for Mac will allow you to easily and quickly create… animated GIFs. Its a complete image suite that does several jobs and contains many tools like making a GIF, image conversion tool, screen capture, color picker, photo layout, photo editor, splitter, and other tools. I consider this software to be on number one position due to its ease of use and clean n clear interface. Making a Gif on this software is easy like dragging few images in one or various formats and viola you have created a GIF like that. All this can be done under Animated GIF tab. You also get options for frames and can re-order by simple drag-drop with any corresponding time. The one thing that I should tell you is that it comes bundled with OpenCandy (OpenCandy is the pioneer of high-quality, dynamic app installer ads and is trusted by hundreds of software developers and advertisers worldwide.). It has both Windows and Mac version available for free. Create animated GIFs online from Youtube videos. Convert Youtube video to animated GIFs using our FREE and easy Gif maker. Now create animated terrors by simply entering your photo by uploading or URL upload feature, this site makes it possible to animate a still image and give some really nice effects. And of course you can always share the pics to your social networks like Facebook, Twitter, and Tumblr. Easy GIF Animator is one of the most famous animated GIF editors of this world as well as one of the best software systems for creating animated pictures, banners and buttons. With this editor tool, one can easily produce some stunning animation effects, can achieve unmatched compression and image quality and can prepare the animated images for world wide web. As a whole, the features offered by this animator tool are nearly unmatchable. It is capable of generating HTML codes automatically for easier insertion into any web page. Offers floating preview window for the purpose of easy editing. VidGif is one of the popular GIF maker tools used for converting the chosen video files to the animated GIF formats. This app is really very helpful in creating animated logos and amusing avatars for the websites. Besides, this tool is also great for the webmasters who like to place graphics on their site. This tool converts the video of any format which can be watched on a laptop or PC. It supports the video files of the formats like WMV, AVI, MPEG, MOV and many others. Additionally, this tool has a great control over the height, weight and the FPS of the GIF animation. But this tool always offers better quality animation GIF on the smaller size videos. IconCool GIF Animator is one of the most easy-to-use and professional GIF animation software that is mainly used to create the animated GIF banners, pictures and buttons easily for the websites. This app has the feature of exporting animation in the animated AVI, GIF, FLI, MPEG, FLC and SWF formats. This animator tool is not only capable of assembling the existing pictures into the animation but it also has the formidable functions like creating, editing, modifying, effect processing and optimizing. Besides, this tool has the unique features like exchanging image layers conveniently with Adobe Photoshop without having the worry of losing any graph animation. Alchemy Mindwork’s GIF construction set is another great GIF animation software that helps in assembling the original animations effortlessly through the Animation Wizard, squeeze the animations down to as close as possible with the Super Compressor, make animated transitions and eye catching banners, add transparency to the existing graphic, manage the GIF files and lot more. The general documentation and the tutorials which are included with the GIF Construction Set Professional would help to get speed in less time. EximiousSoft GIF Creator 5.75 is one of the reliable, powerful and easy animation designing tools that are used in creating vivid, flashy, bright and dynamic images for GIF animation, special animations and advertisement banners within a short time. Due to the easy and powerful nature, EximiousSoft GIF Creator 5.75 has established the leadership in animation designing industry and it creates high quality GIF animations. This tool offers 40+ effects to create impressive banners or cool animations within short times. Here by adding outlines or shadows, the users can make effective animations. The selection tools like ellipse, rectangle, magic wands and lasso are offered to copy, cut, delete or move the proportion of any animation. The Advanced GIF Animator is another powerful tool to create the animated GIF images. With this great software, the users can create banners, pictures, movies and buttons. With this software the user can use the stand-alone graphics editor or built-in image editor to create the image files which can later be assembled into GIF animation. The key features of this software include: palette optimization, built-in image editor, multi-language support and image size reduction. Besides, this tool offers mergers, duplication, re-sizing, cropping, frame flipping, rotation, and the ability to create animated GIF files by using the sets of JPEG, BMP, Windows Metafiles, ICO, AVI and ANI file import and export and color palette support. Adobe Photoshop CS4 extended redefines and refines the professional experience of image editing with the non destructive and faster ways to accomplish the tasks like masks and image adjustments and enhancements and some new tools which help the user to work naturally, more easily and efficiently. This tool starts with the entire sets of features that can be found in Photoshop CS4. This is another important GIF maker tool that allows the users to animate the texts and graphics and therefore help them to place the graphics or text into a presentation or web page. Here the users have the facility to create the images which you want to animate in any other program and therefore import that directly into the Animation Shop 3.